Paint does more than make your car look good. It protects the bodywork from damage. And in the same light, rust isn’t simply a bad look, it actually can devalue your car. Corrosion caused by salt and water impacts your vehicle beyond its aesthetical value and can be responsible for fatigue placed upon the hydraulic and mechanical systems. Prevention as the old adage goes is better than cure. In the automotive world this translates into taking a little care can save you a whole stack of cash further down the road. So make sure you’re protecting your car and your wallet with our handy tips. All cars have drains in various locations around their bodywork and are essential for letting water run away in areas that are prone to rusting. However, debris such as leaf fragments and mould can get into the drain holes and block them up, causing the pooling of water in your car. Find the specific drain holes in your car, usually located in places such as the bottom of doors, bumpers and in the tailgate and ensure they are free from all kinds of blockages. If you have the option to keep your car under cover then make sure you take advantage of this protective measure. 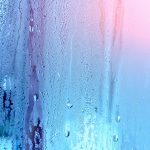 Ensure that your garage is not damp, by either using an expensive dehumidifier or going with the cheaper choice of cat litter to absorb the moisture. If you don’t have a garage then a car porch is often the next best alternative, or if you don’t have room on your property to create a lean-to then consider a car cover to protect against cold, ice and rain. Regardless of whether you use your car a lot or a little, always be sure to wipe away any surface water that remains on the vehicle. Take the time to wash your car frequently particularly if you live near sea. 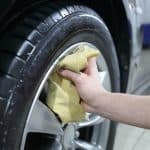 Salt is your enemy, and this means you may have to be extra vigilant about washing during winter when this corrosive compound is spread on the road. Dirt, mud and sand are equally nasty and can conspire to degrade your protective finish. 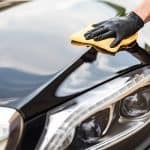 Ideally you will want to wash your car once every two weeks, making sure to get into all those tricky areas such as wheel arches, the chassis and the underside of the door frames. 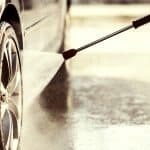 These areas are exposed to the majority of dirt and other grime that’s thrown up from the road so pay special attention to keep them free from damage. Finally, dry down your car when you have finished. Wax your vehicle’s exterior every few months to form a protective seal to help keep the water running smoothly off your vehicle. A good quality wax is a worthwhile investment and if you take the time to polish your car, you can get a strong shine that will make it stand out on the streets. Waxing makes your easier to wash as the liquid will run off the bodywork more easily. 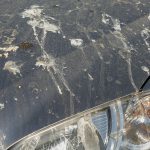 As the coating tends to funnel water away from the vehicle quickly it can even serve to prevent the build-up of fluid in the car on exposed areas of metal. If you cannot find the time to do this at home, there are now plenty of valet services that give you the option to get it completed at a relatively small cost. The longer you let a spill sit in your vehicle, the harder it is to clean up. Moisture and salt that you bring into the car on your shoes and coat in wet, cold weather can slowly leach through the carpet and cause rust without you realising on the metal surfaces in your car. Rubber floor mats are always a good investment and regularly vacuuming of your car can stop the salt and sand from working through the carpet, causing oxidization, which is the first step toward rust developing on your car’s body. 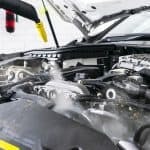 Sealing the underside of your vehicle is one way to help ensure that the corrosive combination of salt, dirt and grime does not get into your chassis. Once a year or every other year get the area underneath your car sprayed with atomised oil, creating a preventative barrier around the inside of doors, bumpers and your car frame. It is unavoidable that your car will develop one or two rust spots during its lifetime. The key is to tackle these small spots as quickly as possible, to stop the patch developing and becoming a danger to the structural integrity of your vehicle. Every time you wash the car, take a torch and check around the bumper areas and wheel wells. Pay special attention to the areas where body components meet as these are prime candidates for developing rust. Other areas that need regular inspection include all the little crevices and gaps between the car body and the trim and mouldings. Get up close and personal with the lights, windows, side mirrors and sunroof, alongside the antenna fixings. 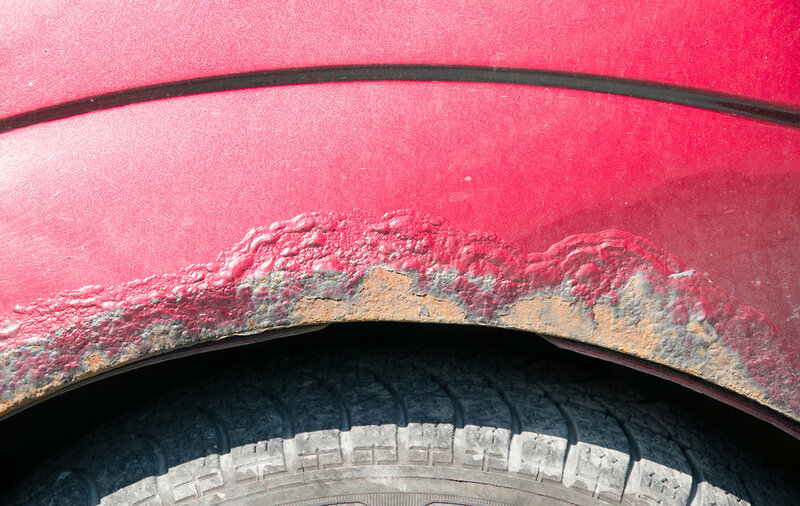 One of the early signs of rust is an area that looks like a bubble underneath the paint. This is an indication that the rust has begun to corrode the part of the vehicle underneath. Small areas of rust are not a cause for panic. These small areas can be touched up easily with kits from your local car spares dealer or hardware store. 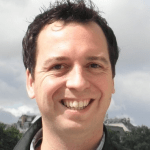 However, if you find a bigger area then you may need to seek the help of a professional. Whilst the bodywork of the latest vehicles is designed to deflect the damage caused by corrosion, there will always be parts of cars that are left exposed and vulnerable to rust damage. Regular inspection is key to preventing rust as identification equals treatment and hopefully cure. It may seem like hard work in the moment but remember all the long term benefits including higher resale value, better performance and less repair costs. This entry was posted in Maintenance and tagged car, prevent, rust on 2 July, 2018 by Justin Smith.